CapstoneMinistries is a ministry to the street children of Western Kenya, specifically Kisumu and the surrounding areas. Capstone was founded in 2005 with the objective of restoring street children with their family. The ministry is founded upon the Scripture from Psalm 118:22 “The stone the builder’s rejected has become the capstone.” Capstone Ministries is a Recognized Service Organization of LC-MS. In Kisumu more than 1000 children, mostly boys, live full-time on the streets, begging and stealing to survive. They sleep in open parks, on the sidewalks in front of shops and even in the sewers. Few believe that they can or even should be rehabilitated. But at Capstone we believe that every child has value and every child should know the love of God and family. The process is often filled with challenges. Shame, discouragement, hopelessness, poverty, HIV, malaria, alcoholism and substance abuse are just a few of the ongoing challenges of this work. Sometimes the road is rough and the setbacks are discouraging but we know God is able and desires change in these children and in their families. To date Capstone has reconciled 441 children with their families. Capstone staff reach out to boys on the street and encourage them to go home. Capstone believes that it is best to reintegrate street boys directly from the street and then make frequent follow up visits to families of the reconciled boys. Institutionalizing street children–even for a short time–often leads to dependency. To read more about Capstone Ministries just click on the pages below. We thank you for visiting our website. We welcome your questions and your response. A monthly newsletter is available below. You can also have it emailed to you directly. You can write to us as the directors at capstoneministries@gmail.com. Essential to any mission work is the application of the Word of God to relationships. It is the Word of God that changes people. Changing man’s relationship with God is the distinguishing mark of missionary activity. Missionaries who have been in the field for some time also realize that the real challenge is to find the most effective way in which to share the Word so that the change is genuine and long lasting. High School education is not free in Kenya. The fees can be beyond the means of poor rural families. Typically fees average $650 per year for the high schools for which our boys qualify. Seven years ago, we realized that boys whom we had reconciled with families were graduating from primary school with grades that would qualify them for some good boarding schools in Kenya. It was then that we initiated this sponsorship project, funded by individuals and churches in the US. 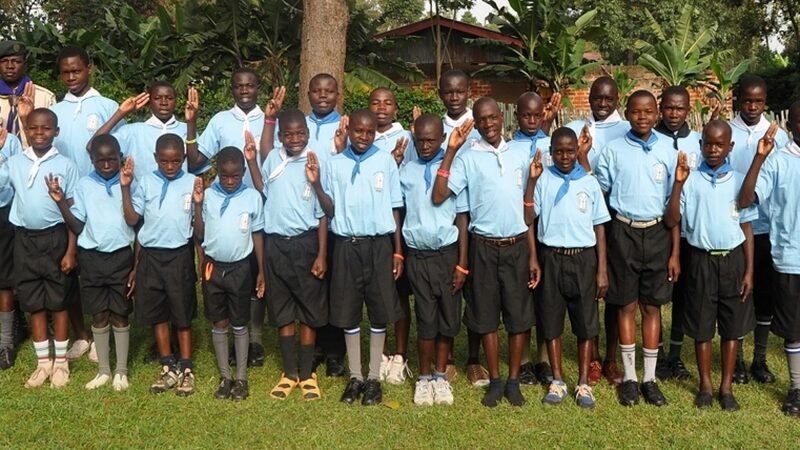 Currently we have 26 boys who are sponsored in secondary school. Please feel free to forward our newsletter to friends and family who might have an interest in our ministry at Capstone Ministries! Make fast, easy, secure, tax-deductible donations using Paypal! Capstone Ministries, Inc. is a 501 c3 non-profit organization and all donations are tax deductible. WordPress | Astrid : aThemes.